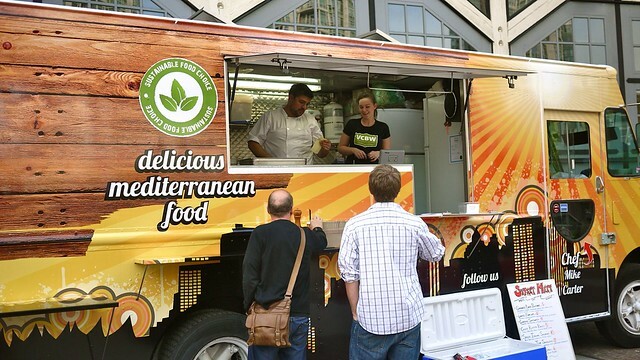 Mediterranean eats at Street Meet food truck in Yaletown on May 18, 2012. 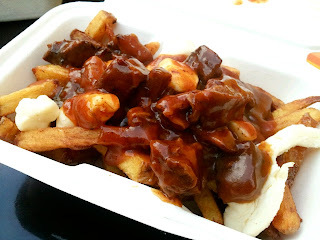 Parked at Yaletown Roundhouse for the VCBW opening night party, we sampled on some Mediterranean street eats including the tasty beef poutine. 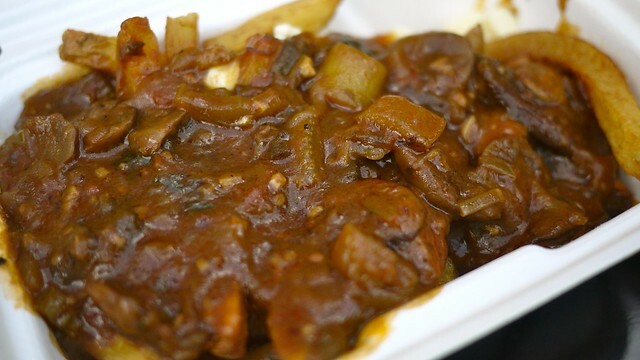 Former Prestons Executive Chef Alessandro Vianello and Mike Carter heads up this food trucks, usually located on the Southeast corner Burrard and West Pender Street. 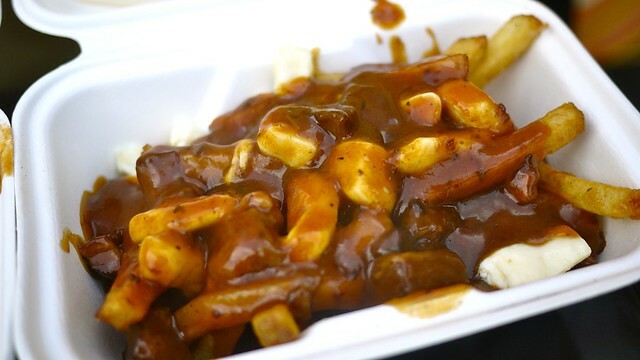 My order of poutine was accidentally done with mushroom gravy, but still tasted pretty good, nonetheless. 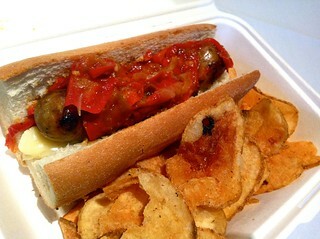 The grilled Italian sausage (right) with stewed red peppers, and talleggio cheese on a baguette was filling and quite tasty. 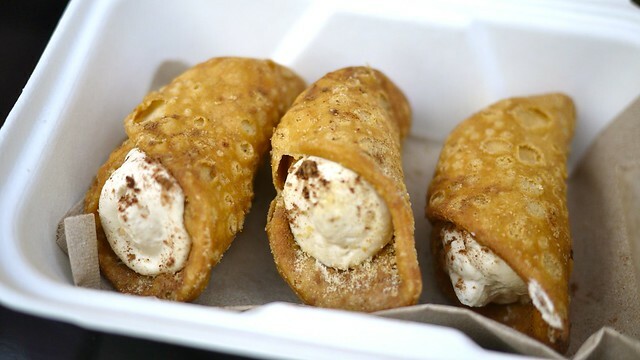 The tiramisu cannolis (below) were a great treat. I enjoyed all the interesting, creatively delectable twists on their dishes. As far as food trucks go, Street Meet gives some good value with lots of options in the ten dollar range for snacks and a quick meal. Haven't seen poutine on their menu, but can attest to the chicken sandwich. Delicious!